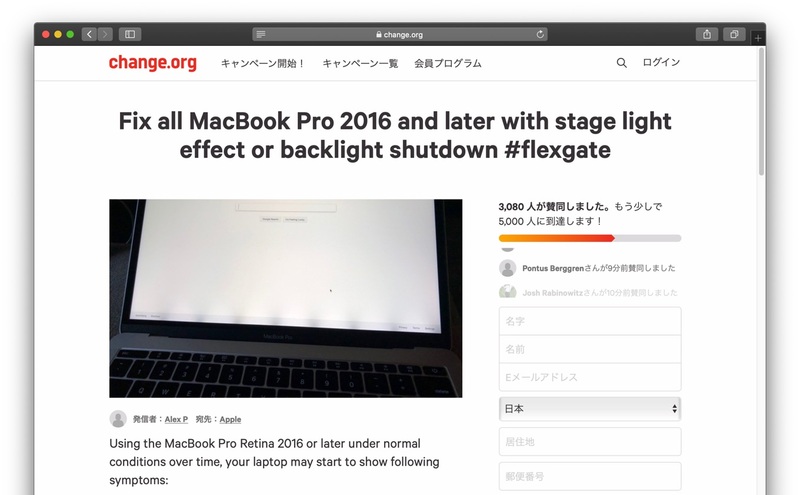 Touch Barを搭載した2016年製以降のMacBook Proでディスプレイ下から光が舞台照明のように漏れ出す「Flexgate」が確認される。 | AAPL Ch. 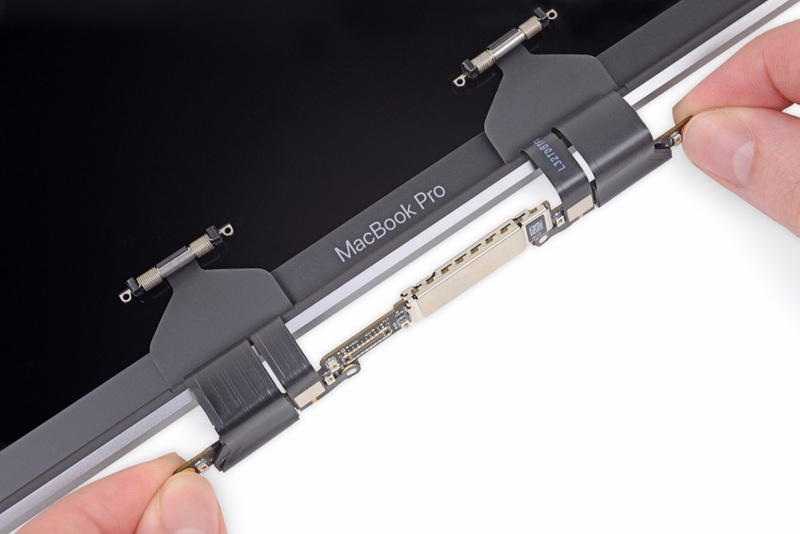 The issue is fairly simple: the current generation of MacBook Pro laptops (2016–present) uses flexible ribbon cables to connect the display to a display controller board beneath the Touch Bar. These cables wrap over the board, where they’re secured by a pair of spring-loaded covers—and they’re subjected to the stress of bending with every opening and closure of the laptop. 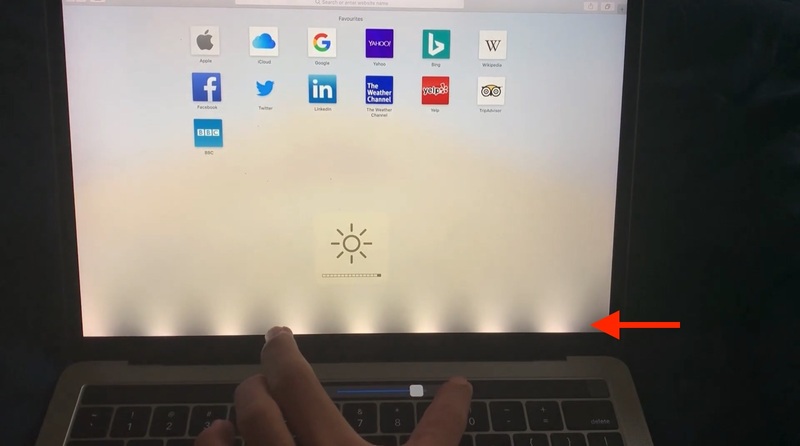 For now, the issue is only affecting the Touch Bar generation of MacBook Pro. 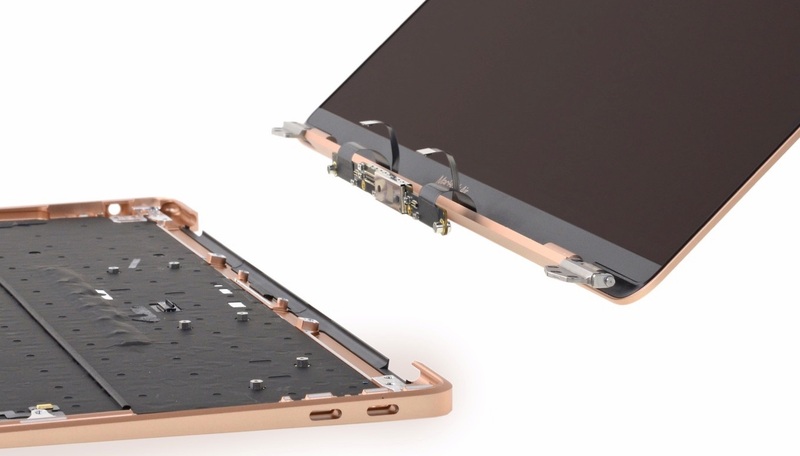 The new MacBook Air doesn’t use the exact same display cable design, but it looks to have a similar vulnerability—its cables wrap over their display board, and appear to be part of the display.